Be ready for cold and flu season with a cold and flu survival kit. 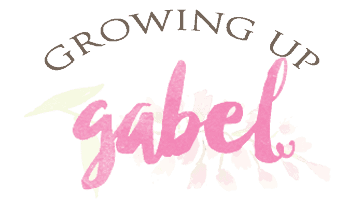 I remember being shaken awake one night when my daughter was about 3 years old. As I struggled to figure out what was going, the poor thing was throwing up all over the side of my bed. I'm half awake trying to clean up the mess, find a bucket, a thermometer and everything else I knew I was going to need. And of course, none of it was in one spot. It was all over the house. After that night I got my act together. Now I put together a flu and cold survival kit every year by filling a basket with items we will need to help relieve flu and cold symptoms. First, grab a container for your survival kit. I use a basket because it's pretty but anything that's large enough to hold all your items will work. 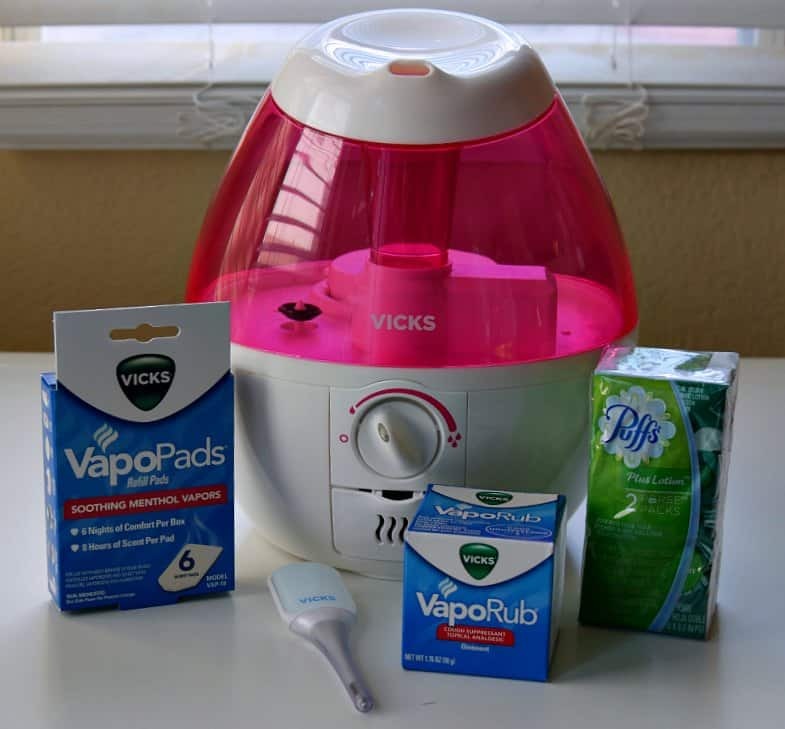 Next, fill the kit with your must have items for helping to relieve cold and flu symptoms. Think of all those little things you can never find in the middle of the night! 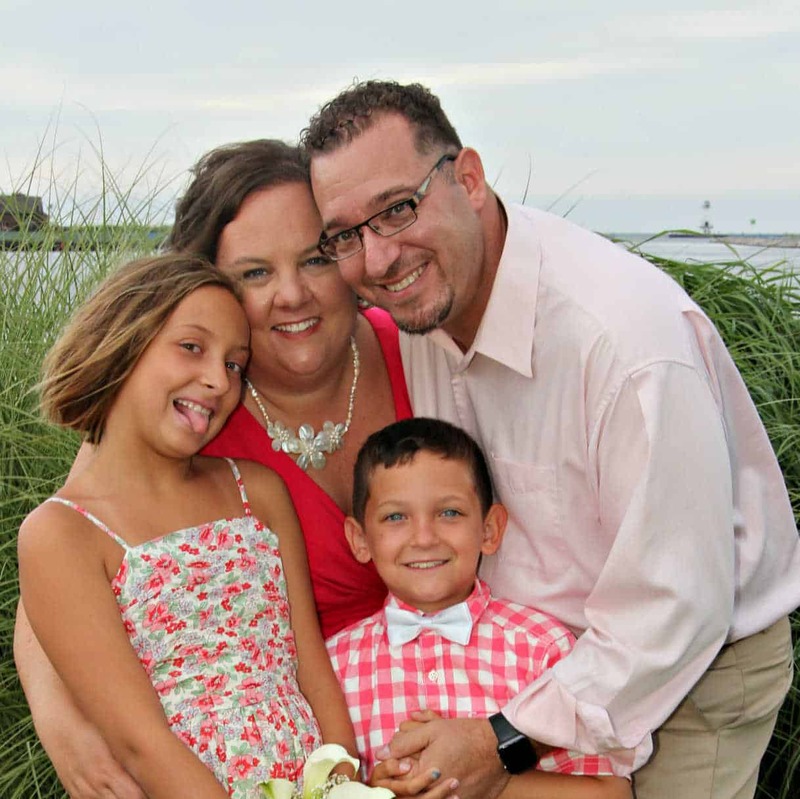 Vicks Vapo Rub: We use Vicks Vapo Rub to help relieve coughs and general congestion. I make sure to have the kids wear an old tee shirt over the vapo rub. Tissues: We go through so many tissues during the winter and I can never find a box when we need one! My favorite tissues for sore noses is Pluffs Plus with Lotion. These tissues are so soft! I keep a package of them in the kit specifically for anyone with a sore nose. Thermometer: I can never find the thermometer at 3 AM. So I keep one in the kit. 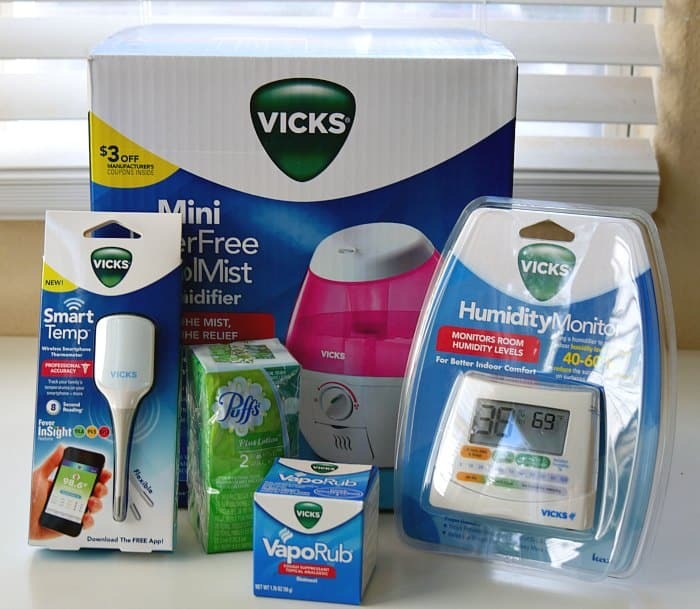 The Vicks® SmartTemp® Thermometer is pretty neat. It has a free downloadable app which makes it easy to take and track temperature readings. This especially handy when you have more than one person who is running a fever! 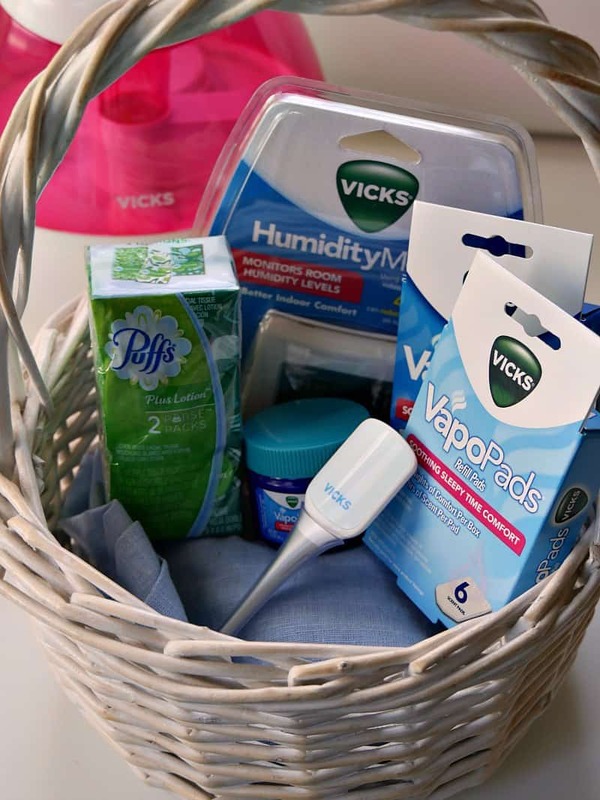 Humidifier: The Vicks® Mini Filter Free Cool Mist Humidifier may not fit in a basket, it's still a necessity for your survival kit! A humidifier helps keep dry winter air moist for easier breathing. We keep a humidifier going all winter long even when no one is sick. This little guy is available at Walmart and comes in pink, blue and green. 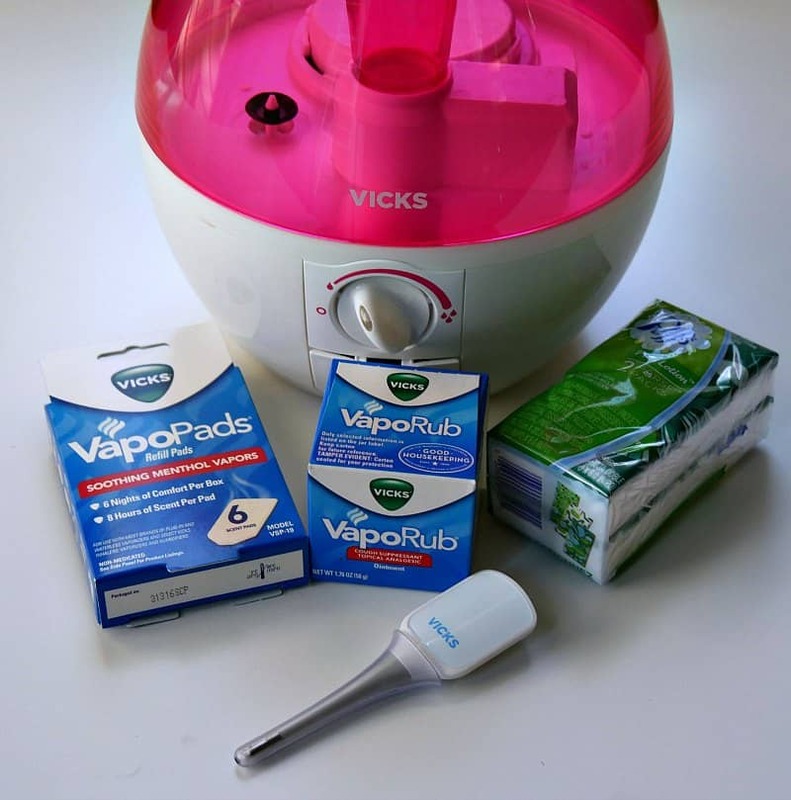 Humidifier accessories: The Vicks humidifier can be used with Vicks VapoPads. 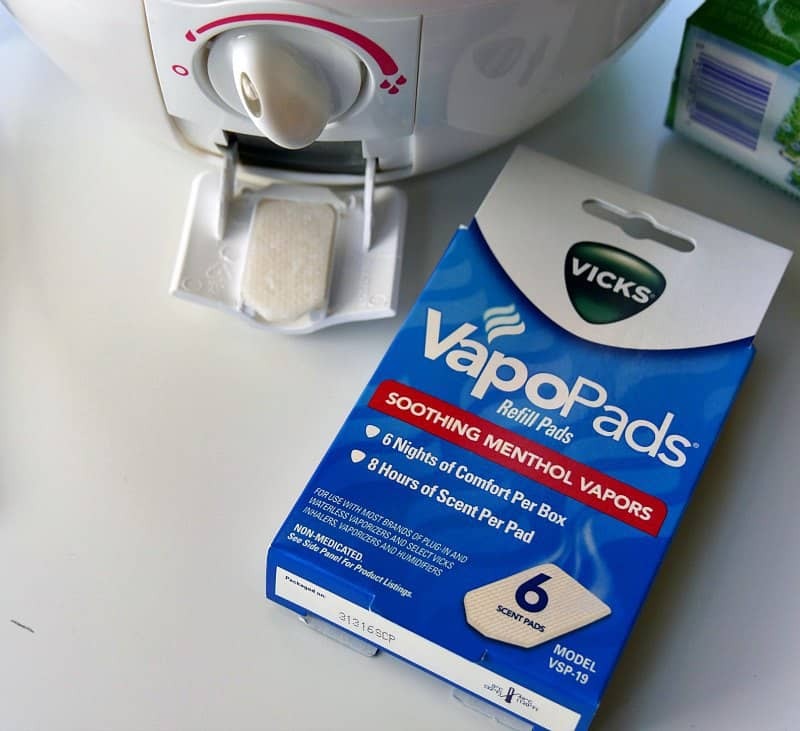 The pads come in both a soothing menthol to use with colds or a sleepy time scent to use for everyday. Throw the menthol pads in your kit for when the cold hits. 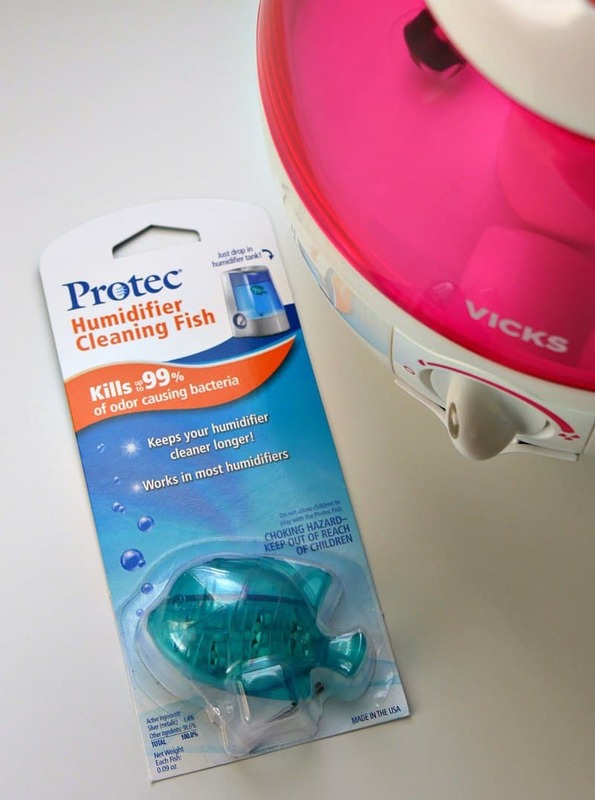 Keep humidifiers clean is kind of a pain, so I also threw in this Protec Humidifier Cleaning Fish. This little guy helps keep the humidifier cleaner longer. This is definitely part of the survival kit for mom! Once your kit is full, place it somewhere close where you know you'll be able to get to it. I keep ours in our upstairs bathroom since that's where we all sleep. This way, our kit is ready to go even in the middle of the night. Want to make your own survival kit? 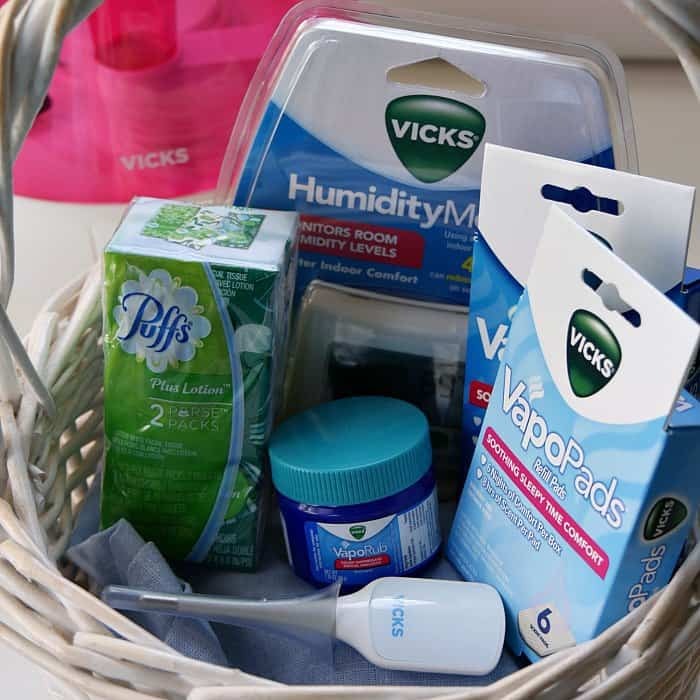 Enter below for a chance to win a Vicks Winter Wellness Care Package of your own and start building your kit.